During the Fall of 2018, Conservation Officer John Beer investigated a report of two Minidoka county men who had illegally harvested a large sturgeon. The men located the sturgeon while fishing near the Snake River on the south side spillway of the Minidoka Dam. They loaded the huge fish into the trunk of a Dodge Intrepid and left the area. The fish was approximately 5 and 1/2 feet long with the age and weight unknown. People may have heard about sturgeon being collected from the Snake River below C.J. Stike Dam during April. Don’t be alarmed, it's part of ongoing conservation efforts to help boost the number of sturgeon in the river. 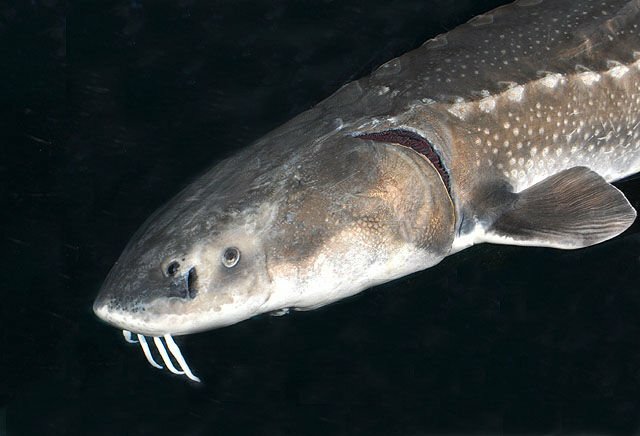 A Boise man was recently cited for catching and keeping a two-foot white sturgeon caught below Swan Falls Dam on the Snake River. A Citizens Against Poaching (CAP) call triggered the investigation. In the river between Bliss Dam and C.J. Strike Reservoir, sturgeon took advantage of the rare high river flows and spawned successfully during spring. Did you know Idaho Department of Fish and Game stocks sturgeon in limited numbers in the Snake River each year? The purpose of the stocking is to maintain a popular and unique fishing opportunity in reaches of the Snake River where sturgeon populations are not self-supporting. It's not like trout stocking where folks get to immediately catch and harvest stocked trout. Sturgeon stocked this year can be around for angler enjoyment potentially for decades. Taking the long view is easier when you consider a sturgeon stocked in 2016 could be caught by an angler in 2066. In Idaho, there lives a toothless giant from the days of the dinosaurs that can live to be 100 years old and is characterized by its vacuum-like mouth, sensitive whiskers, small beady eyes and armor-like scales.